A few pictures of Sky that I don’t think have been on the blog already. 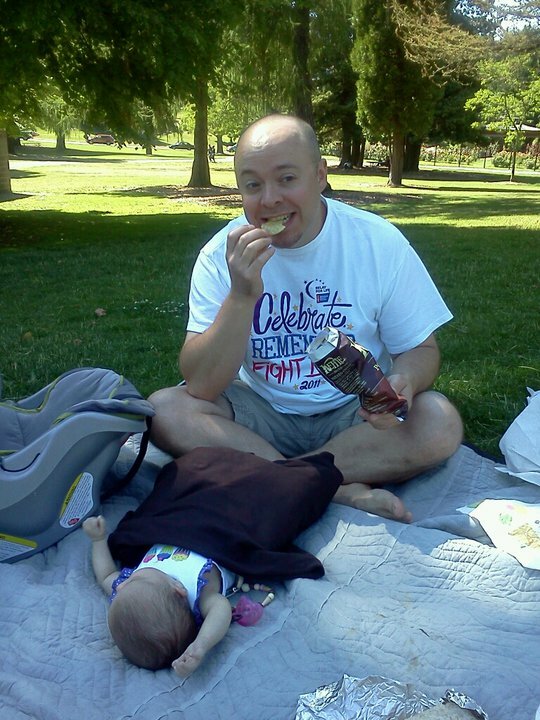 Mark and I decided today was the perfect day to have our first picnic at the park with Sky. We did our 4th festivities with Bob and Michelle at their BBQ last night, so today was just a chill day for us. We got take-out and headed to Pt. Defiance. Bonus was we could see the fighter jets performing over Ruston Way. Was pretty cool! My favorite picture. 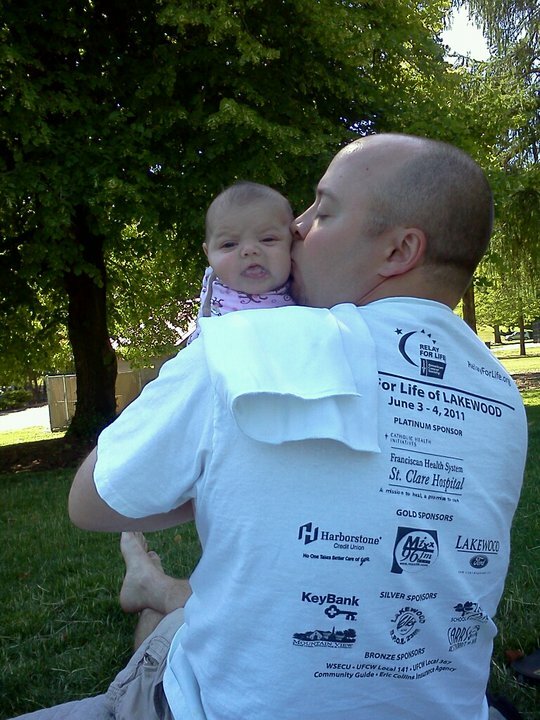 Mark kissing Sky while burping her. Sky’s first picnic and the park was beautiful! 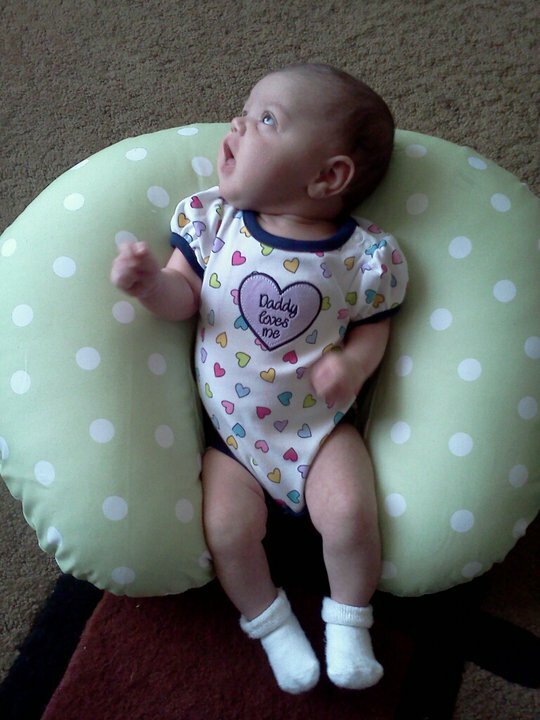 Enjoying sitting up time in her new Boppy. It seems to be a big hit with her. Thank you Grandma Val and Grandpa Steve! Not enjoying tummy time so much. 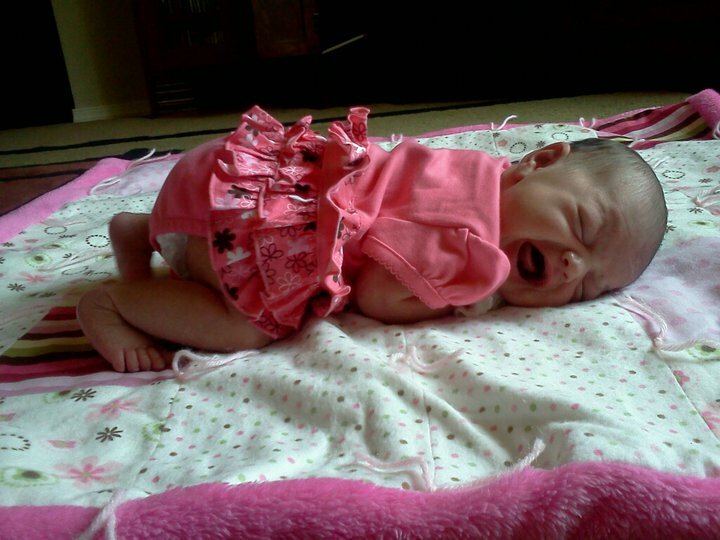 This is an odd shot because for the most part she actually likes tummy time. I know…she changes so much week to week! I'm fascinated by it, but don't like it either…she is growing up too fast!